the total sum of what i was doing last semester for almost 12-15h a day, 7 days a week, just so you guys can watch it! hahaha So please do . Thanks . Qinni has started a donation pool! Okay, this was meant to be for a Christmas sub giveaway but i keep missing Christmases cause life gets too busy...."orz. Permission to use my artwork? Please put a link back to me and credit me properly if you're going to use my art for personal purposes (websites, etc). I am NOT taking any commissions at the moment, sorry. Qinni is a deviant who strives to not only to better herself, but also the artists around her. 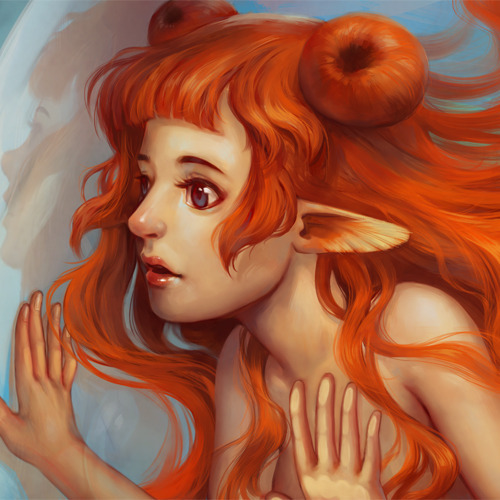 In her nine years as a member of DeviantArt, she’s made an impact on a variety of communities—from digital and traditional, to animation. While her artwork is always spectacular, what makes Qinni such a valuable member of the community is her dedication to helping her fellow deviants grow by sharing tutorials and videos of her artistic process. In addition, Qinni has used her free time to share art features, bringing new eyes to her watchers’ artwork. Qinni’s kind soul, helpful tutorials, and open dialogue with her fans are what make her the ideal recipient for the February 2017 Deviousness Award. luv ur art as always! Hope we'll get to see some new art again one day. be yours your whole life too.